It is widely known that Creatine Monohydrate is a research-proven ingredient for muscle growth, strength and recovery. It has been openly available for many years. But Creatine Monohydrate has poor bioavailability and many people experience gastrointestinal distress when using it. This forced research to try to improve Creatine’s bioavailability resulting in an extremely potent version, Creatine Magnesium Chelate or Creatine MagnaPower; The bonding of Creatine and Magnesium in to a highly absorbable chelated molecule. So why bond Creatine to Magnesium? Magnesium, due to being alkaline forming, decreases the acidic environment of Creatine ensuring it remains intact and active in the digestive tract. This protects the Creatine from turning in to useless Creatinine ensuring availability for muscle cell absorption. Magnesium is essential for over 300 bio-chemical reactions in the human body and has a fundamental role in your physiological response to exercise. Magnesium is needed for muscle contraction, regulation of Calcium Flux and the production of ATP. Magnesium helps to maintain optimal Testosterone levels in men and has also been shown to lower blood pressure. Bonding Creatine and Magnesium ensures that these 2 performance enhancing compounds are delivered directly in to the muscle cell resulting in a much higher muscle concentration. Just supplementing with Creatine and Magnesium is not the same as using Creatine MagnaPower. 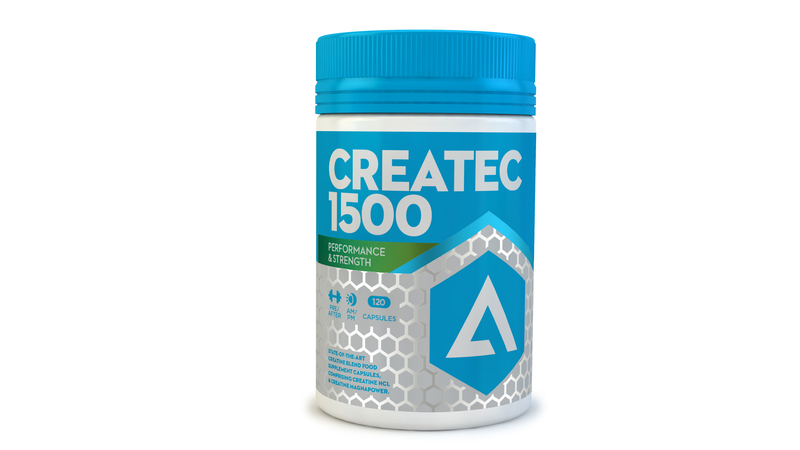 CreaTec 1500 combines Creatine MagnaPower with Creatine HCL to produce the most convenient, potent and digestive-friendly Creatine Capsule on the European market.